One has a small pinhead glaze blister, see last picture. All fully marked. Backstamped with ‘. Salt & pepper pots have wooden lids & seals intact, but not functional as lids will fall out when tipped up. x1 small 1mm chip on base of pepper pot, (see photo) functionality not affected. Local Collection from Brotton, N. Yorkshire also available. 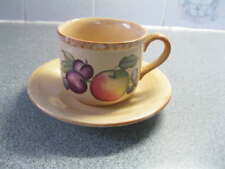 1xHornsea Pottery SAFFRON Soup Cereal Bowl 1970s . 8 x Hornsea "Cornrose " cereal bowls. 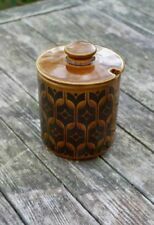 Nice vintage Hornsea pottery sugar bowl and lid .Toffee brown and green coloured .Bronte pattern .Excellent condition no damage .Measures 3.5 inches tall ,3 inches in diameter.I am away 15-28 th April. HORNSEA Saffron Soup Dish / Cereal Bowl & Saucer Dish is 6cm tall & 12.5cm diameter Saucer is 17cm diameter No chips or cracks. Crazing to glaze. I have lots of other items listed. I'm always happy to combine postage for multiple purchases dependant on size and weight. 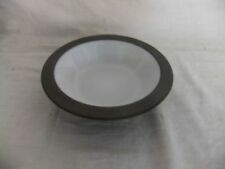 Hornsea Pottery, Cereal/Oatmeal Bowl. Fleur Pattern. Genuine Hornsea Item. Fleur Pattern. 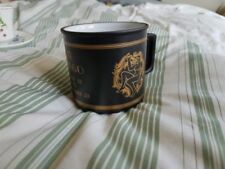 Genuine Hornsea item, backstamped. It is a used item but is in very good condition.